The Fresh Flower Market is committed to offering only the finest floral arrangements and gifts, backed by service that is friendly and prompt. Because all of our customers are important, our professional staff is dedicated to making your experience a pleasant one. That is why we always go the extra mile to make your floral gift perfect. Locally owned and operated! Let The Fresh Flower Market be your first choice for flowers. Complete Terms and Conditions of the store. Tricia is the owner of The Fresh Flower Market and has been internationally certified as a member of AIFD. She has been in the floral industry for over 13 years with a bachelors degree in Graphic Design and Art. Education in the industry is very important for her so she makes it a top priority. Tricia has studied with award winning designers from all over the world and has become an award winning designer herself. Awards such as: Designer of the year for Colorado, first place in many bridal design competitions, and first place in the fiercely competitive Iron Fist competition. 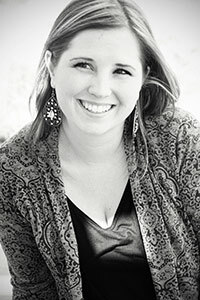 She specializes in wedding and event work as well as contemporary design.